SUST Admission Admit Download 2018 notice has been published. 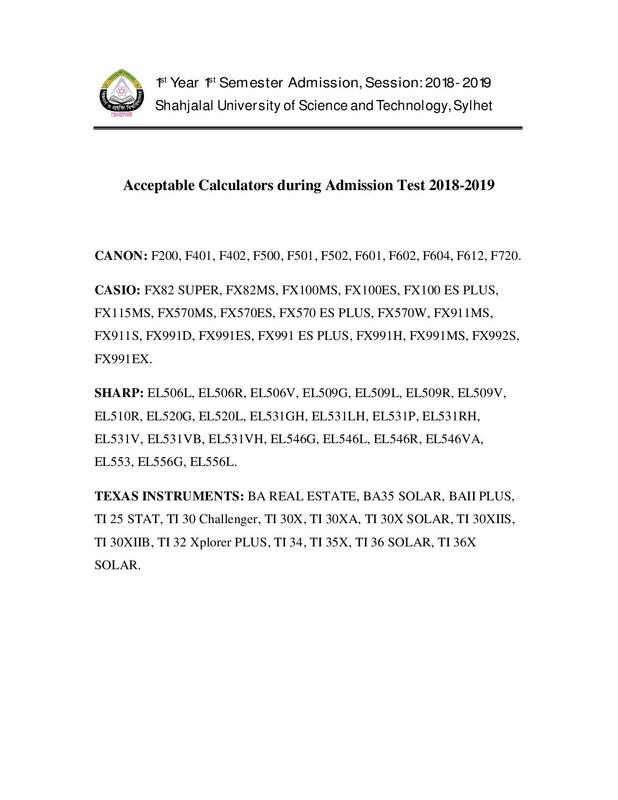 Shahjalal University of Science and Technology Admission Admit Download 2018, sust admit download 2018, sust admit card download 2018-19, sust admit download 2018-19, SUST Admission Admit Card Download 2018, SUST Admit Download 2018, sust admit card download, admission.sust.edu, sust admission resut 2018-19 pdf download, SUST Admission Test Admit Download 2018, Shahjalal University Admission Admit Download 2018 are search option to download admit of SUST Admission Admit 2018. 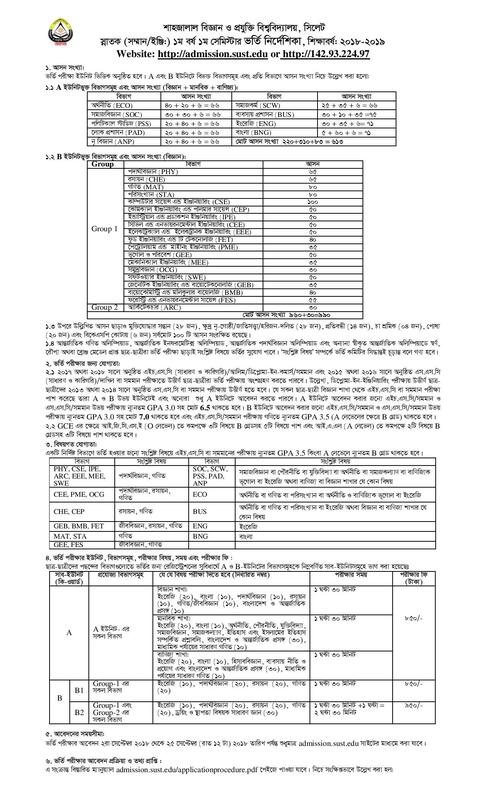 Shahjalal University of Science and Technology (SUST) Admission Admit Download last date 12 October 2018. 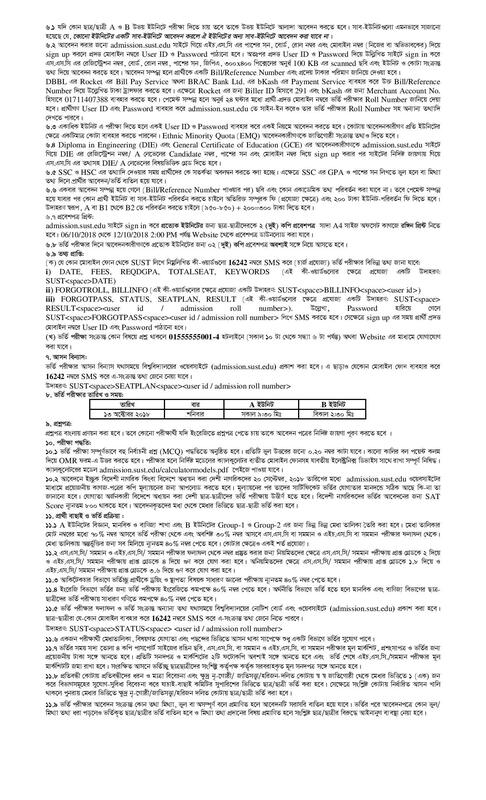 Shahjalal University of Science and Technology (SUST) Admission 2018 date are 13 October 2018. We will publish Shahjalal University of Science and Technology (SUST) Admission Question Solution in our website. Shahjalal University of Science and Technology (SUST) is one of the largest Government University in Bangladesh. All information regarding the Shahjalal University of Science and Technology (SUST) Admission 2018-2019 are given on our website jobstestbd.com. The Seat Plan will be available (on the website or through sms) from 5:00 PM today (11 October). You can receive Seat Plan information by sending sms SUST SEATPLAN <user id or admission roll> to 16242. SUST SEATPLAN dha18235412 where ‘dha‘ is board information, 18 is the HSC passing year and 235412 is HSC roll number. SUST SEATPLAN 1127089 where 1127089 is admission roll number. Applicants can get their passwords by sending sms SUST FORGOTPASS <user id or admission roll> to 16242. Example SMS 1: SUST FORGOTPASS dha18235412 where ‘dha‘ is board information, 18 is the HSC passing year and 235412 is HSC roll number. Example SMS 2: SUST FORGOTPASS 1127089 where 1127089 is admission roll number. 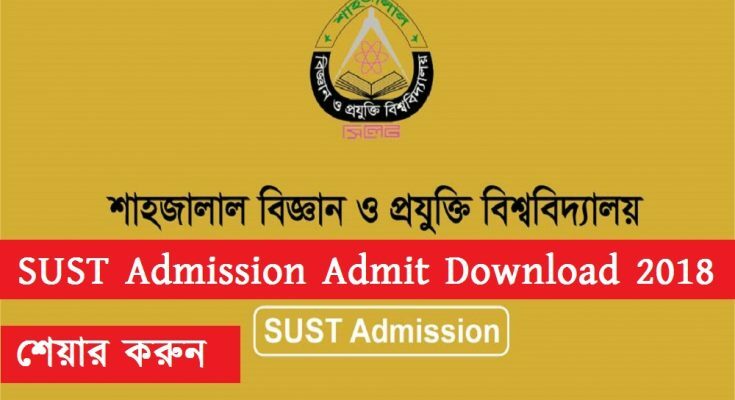 SUST Admission Admit Download 2018 is given above. Shahjalal University of Science and Technology (SUST) is one of the largest Government University in Bangladesh. All information regarding the Shahjalal University of Science and Technology (SUST) are given on our website jobstestbd.com. We Publish all Jobs Circular Every day, Such as Government Jobs in Bangladesh, Bank Jobs in Bangladesh, Private Jobs in Bangladesh, International NGO in Bangladesh, Private Company in Bangladesh, Private University Jobs in Bangladesh. Bank Jobs Results, Government Jobs Results, Government University Jobs result in Bangladesh and all Part time Jobs in Bangladesh and other educational support are available here in our website. We provide different types of job information with also provide some effective information or resource and job tips which helps to get job easily. We trust that our distributing data helps the activity searchers who are finding a superior employment. We likewise share slanting assets for learner uniquely who is re expanding their insight. Our principle target turns into a trusty occupations round site in Bangladesh by distributing a genuine refresh that enables the joblessness to individuals. All the jobs of this website is not for the unemployed people but also employed people too. All type of suggestions, question solutions of different competitive exam are available here. We provide all type of educational support in our website jobstestbd.com. So everyday tune with our website for all kinds of educational support. Please like our facebook page jobstestbd.com.